This is an excellent basics primer that everyone can understand. The consummate “elevator pitch.” Genetic genealogy isn’t that easy to explain, but he did a great job. Granted, he did have a little more time than an elevator ride. 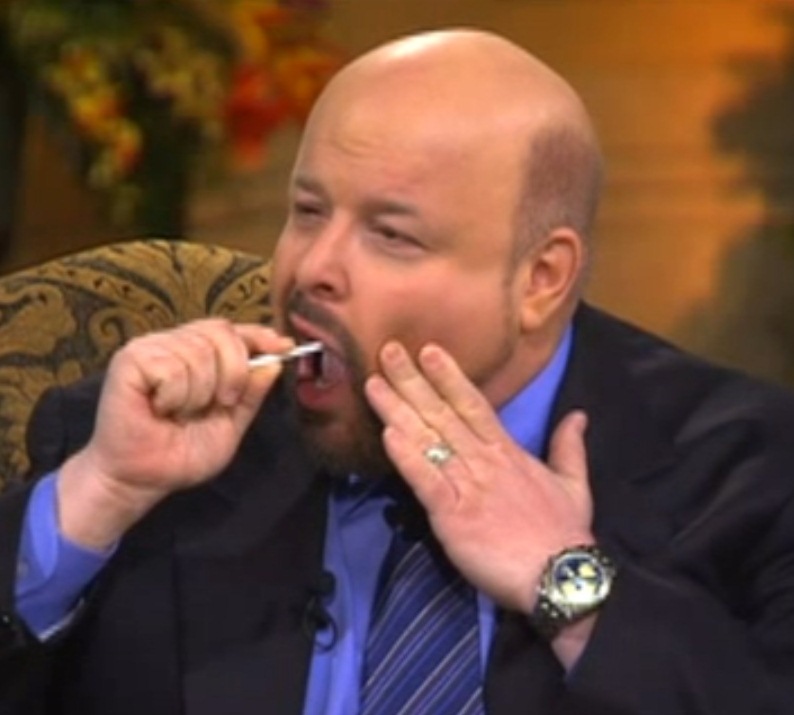 Always the businessman, Bennett brought the host, Rabbi Jonathan Bernis, a test kit and he swabbed on the show as well! Enjoy! This entry was posted in Autosomal, DNA Testing Companies, Jewish and tagged General Information by Roberta Estes. Bookmark the permalink. Excellent job, Bennett. Thanks, Roberta. I especially liked the analogy to shuffling blue and red decks of cards and getting different results. About 1/3 of all Ashkenazi Jews who take the mtDNA test will be eligible to join my mtDNA Haplogroup K Project, so I hope this gets us more results. We also have one K subclade that appears to be Sephardic. Me, I’m going to order the Methodist Family Finder test! I inherited that from my paternal grandmother who outlived her Baptist husband by 50 years. 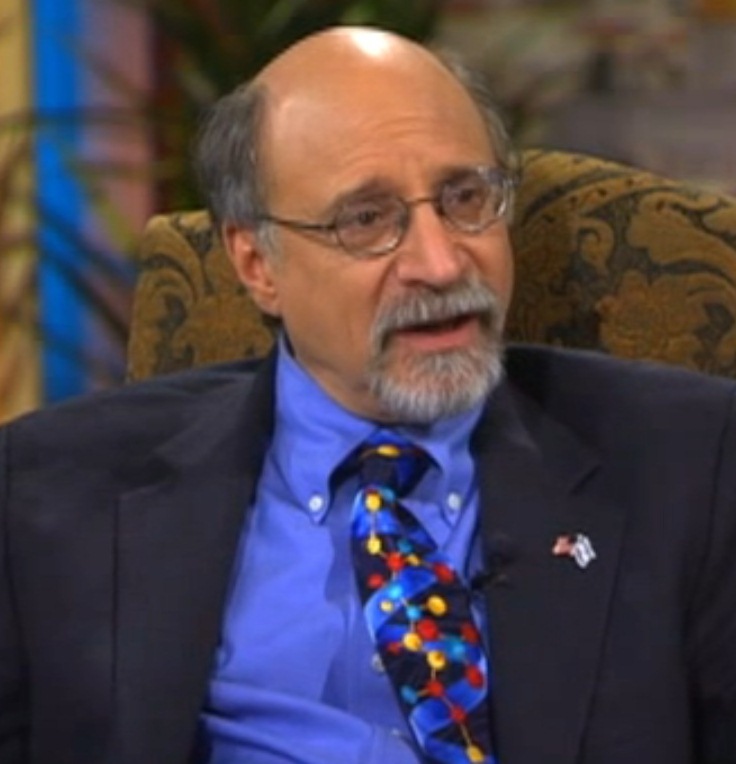 I love the tie too. Where can I get one? Does FTDNA sell them? No, but maybe they should:) Google “DNA tie” – there are several including the one he is wearing I think. I found this to be very helpful. Ever since we had my brother’s DNA tested, I have struggled to understand the implications and value of the results.This explanation by Bennett Greenspan answered some of my questions in a way that I could understand. I have a special interest in early portrait photography and have photos of some of my ancestors going back to the mid-1800s. I don’t have a clue how go about it, but I have always thought that a good comparison between the photos and DNA evidence would make a great study. You see, my “decks of cards” have real peoples faces. This is all still way over my head and I don’t need a new career, but perhaps over time, if I continue to watch explanations such as these, I will at least appreciate the contributions of all the many who have provided DNA for testing. Reblogged this on Cluster One: R-L165 Project.